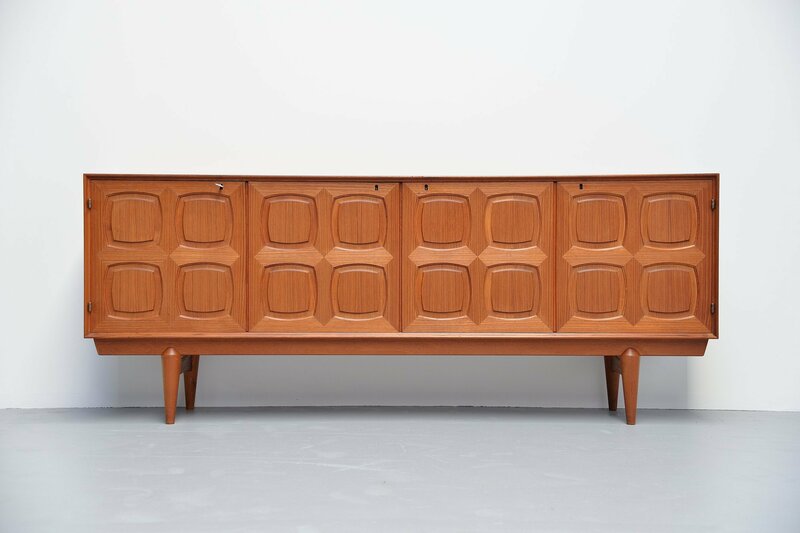 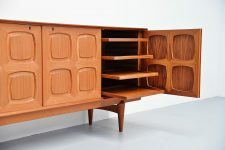 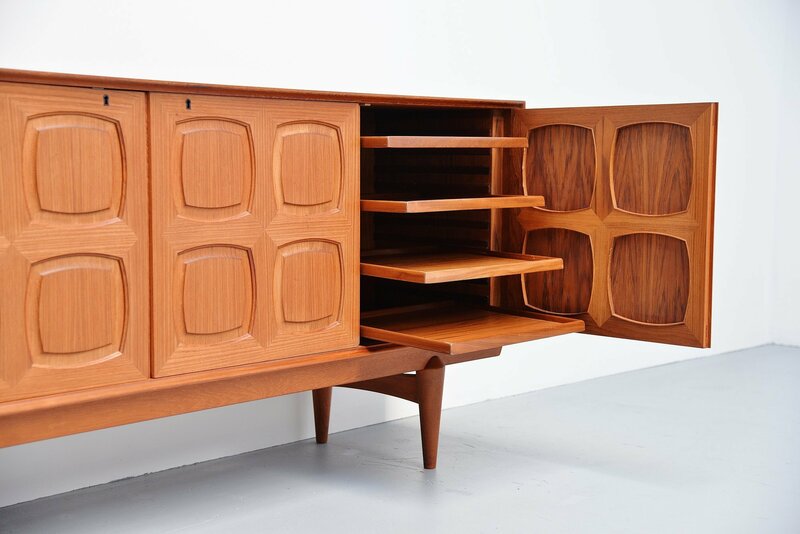 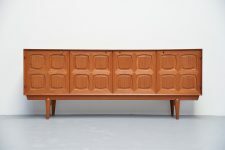 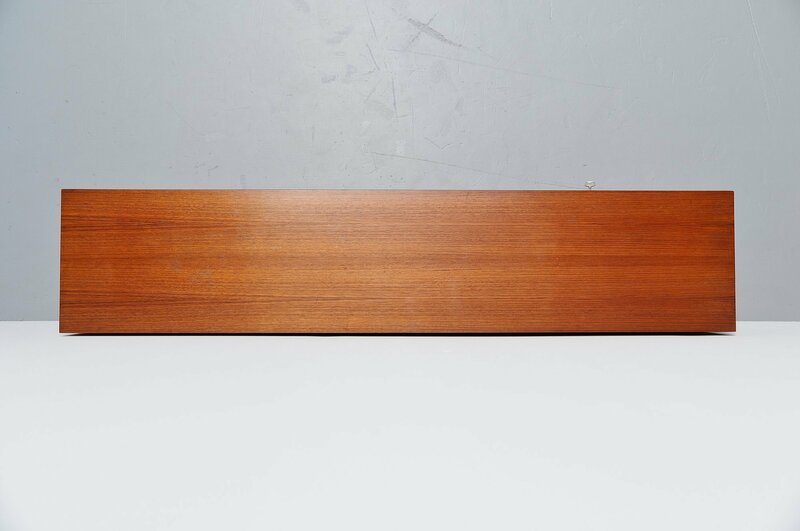 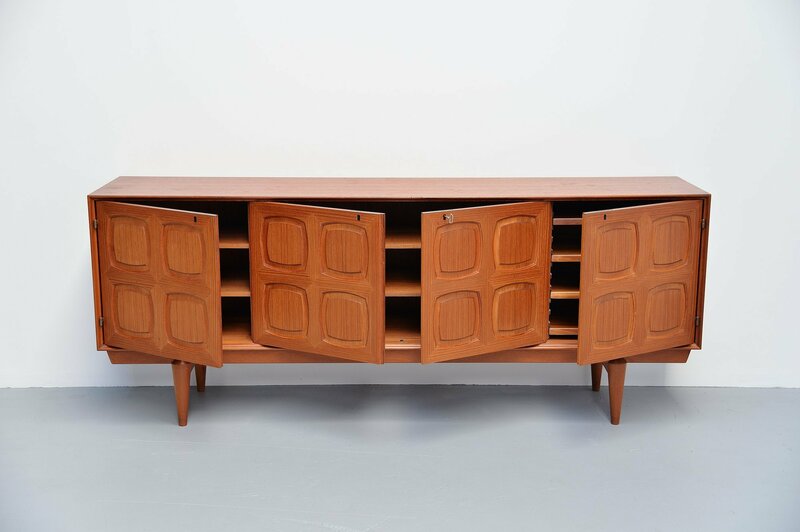 Nice graphic sideboard designed by Rastad & Relling and manufactured by Gustav Bahus, Denmark 1960. 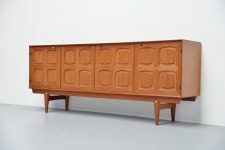 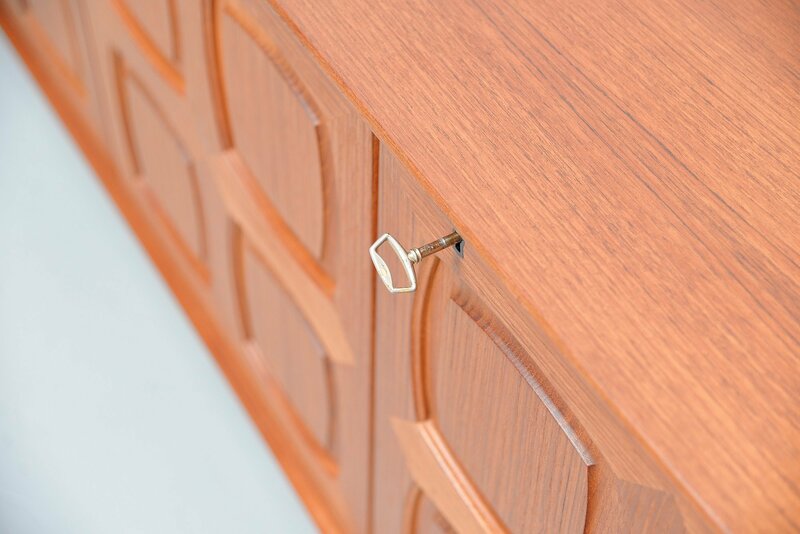 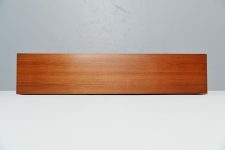 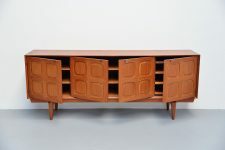 The sideboard is made of teak wood and has very nice graphic panel doors. 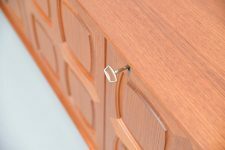 4 Doors with shelves behind and sliding shelves behind the right door. 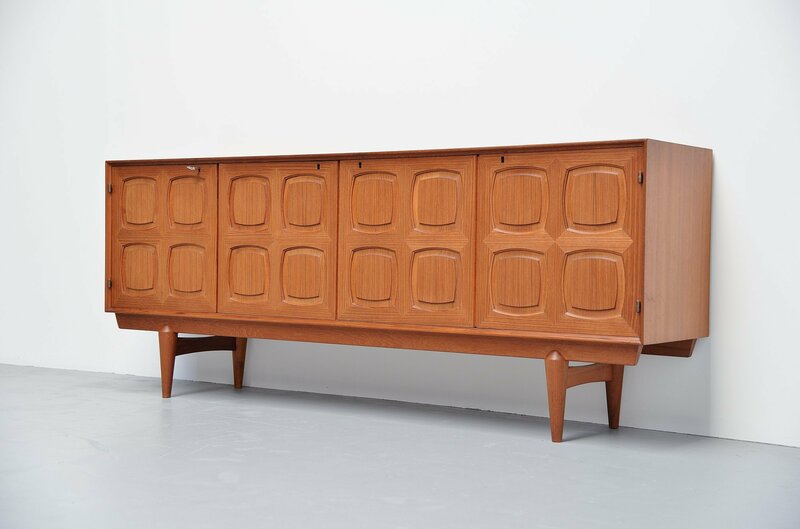 The sideboard is in very good original condition.